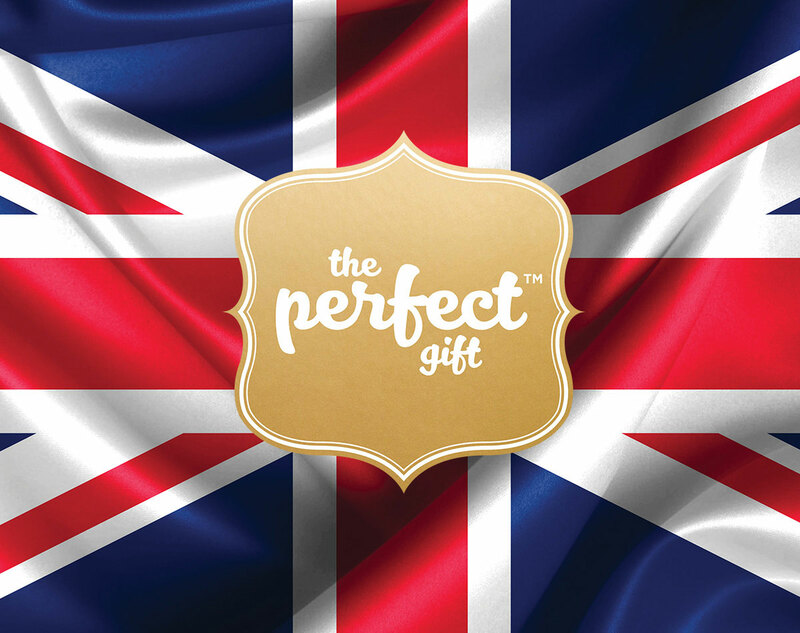 Fitzpatrick International approached CODA to help them develop a new food packaging design brand called ‘The Perfect gift’. 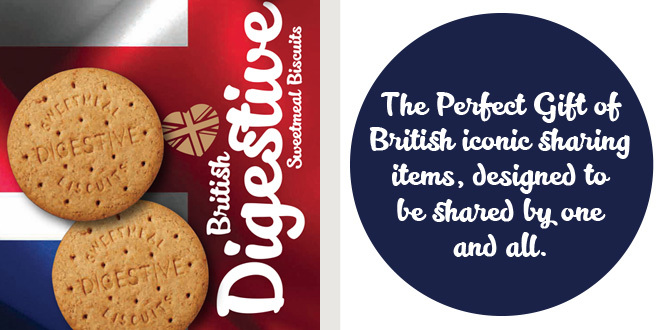 The products were to be iconic British products and the brand needed to be perceived as premium gifting products. We were tasked with creating something that gave the products a distinctive British connection whilst remaining sophisticated and up market. 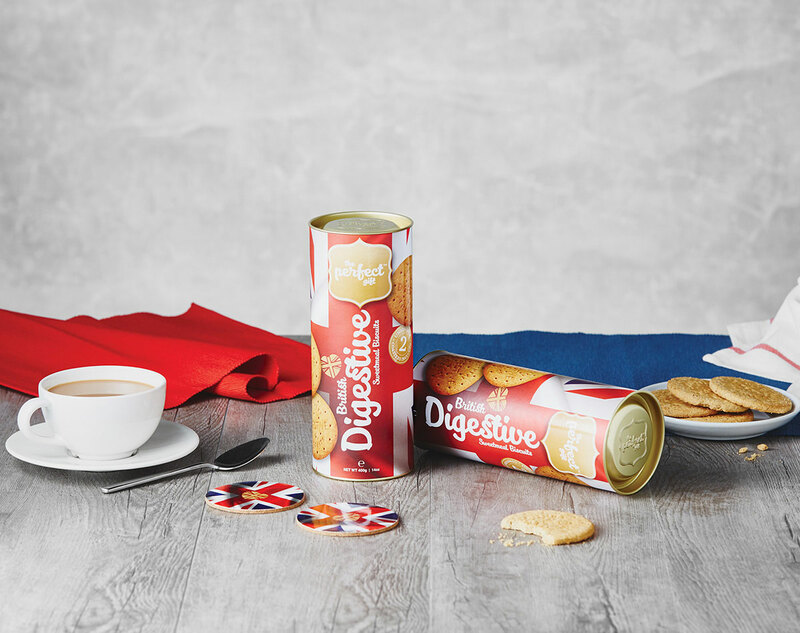 The first product to be launched was the Iconic sweetmeal digestive biscuit invented in Scotland in 1639. This product and the brief for it’s packaging would create the cornerstone for the new brand. 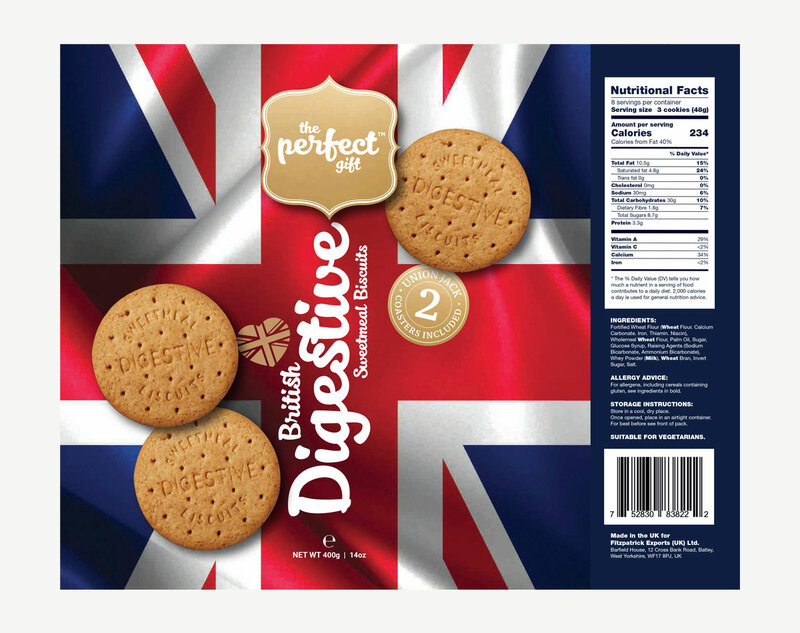 We decided for this food packaging design to use the iconic Union Jack and colours associated with it, but we wanted to also introduce a new colour to give the brand a premium feel. 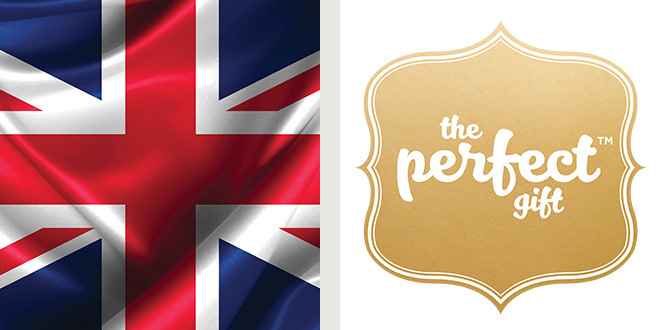 We decided Gold was the best colour for The Perfect Gift logo and we went on to further add a small Union Jack Heart monogram which will be used in support of the main logo for the branding to reinforce a global love for great quality British products. We then carefully selected a font that was friendly and playful to associate the product with good times spent with friends and family. The packaging was to be a tube so we applied the brand and further enhanced the gifting product by adding an embossed logo to a gold metal lid. We also requested parts of the packaging to be gloss varnished to enhance the premium look. 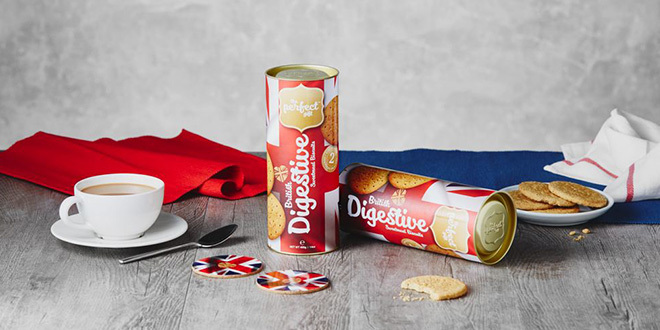 The final icing on the cake was to add some free Union Jack coasters inside the carton to really set this gift aside from a standard product. 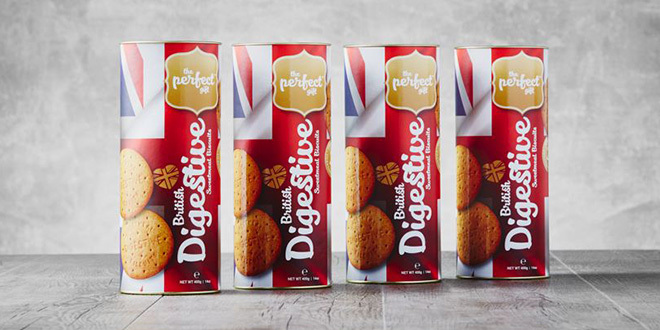 We sourced and supplied just under 60,000 coasters for the first run of biscuits. 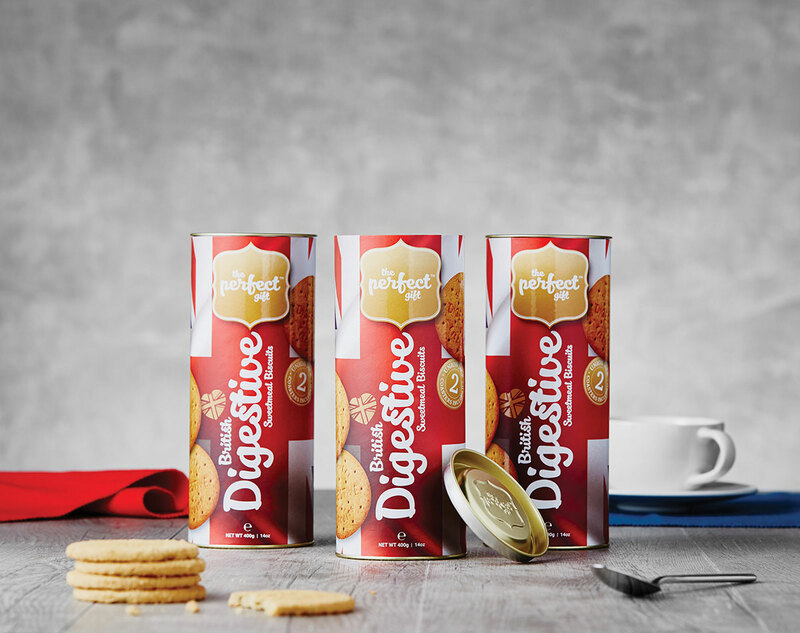 We are currently working with Fitzpatrick to develop a range of products for launch under The Perfect Gift brand we can’t wait to see this new brand develop. With our distinctive creative design and thier product and global market know-how we are sure this New brand will be a great success! Look out for The Perfect Gift products in a store near you soon! !